"Every performance I have done here is something memorable for me," conductor Yannick Nézet-Séguin says about Carnegie Hall. "I treasure them as the highest of my career." 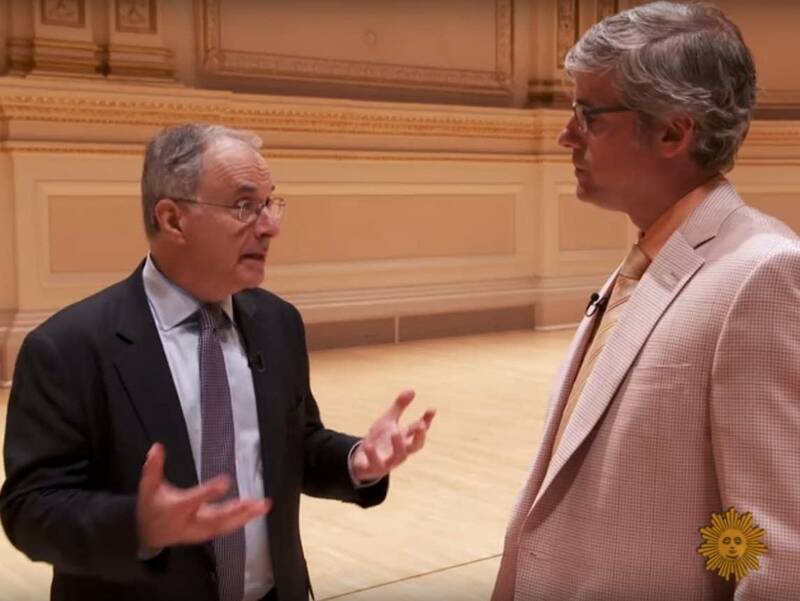 Nézet-Séguin shares these remarks with CBS Sunday Morning correspondent Mo Rocca, who has a look at New York's fabled Carnegie Hall as the music venue celebrates its 125th anniversary. The story aired on CBS Sunday Morning on June 6; we've embedded the video below. Rocca, familiar to public-radio listeners as a frequent panelist on Wait, Wait … Don't Tell Me!, also talks to pianist Emanuel Ax, who describes playing at Carnegie Hall as "the equivalent to pitching for the Yankees." Exploring the history of the venue, Rocca speaks to Carnegie Hall archivist Gino Francesconi, who shares some treasures from the hall's deep trove of memorabilia. Rocca also converses with Clive Gillinson, the hall's executive and artistic director, who credits Andrew Carnegie's wife, Louise Carnegie, with the idea for building the hall. Gillinson describes Carnegie Hall's unlikely architect, William Tuthill, and Tuthill's phenomenal success with the hall's acoustic. And in keeping with Rocca's penchant for humor, Rocca investigates the provenance of the famous joke that is inextricably linked to Carnegie Hall. Watch the eight-minute video below.